A confessed animal abuser in Maine will serve more time than he thought after a judge rejected his plea deal, citing the man's "extraordinarily heinous" crimes against his dog as reason for a longer sentence. The man, Aaron Armstrong, arranged an agreement earlier this week that would have limited the penalty for shooting his Labrador retriever with a BB gun over 100 times, but Justice Jeffrey Hjelm overruled the bargain. "What [he] did to this animal ... was absolute cruelty, nothing short of torture," Hjelm said. The judge sentenced Armstrong to eight months in jail -- in addition to the 140 days he's already served -- and ruled that he be banned from ever owning animals again. "Our ability to watch over him for a period of time and our ability to ban him for life from having animals and getting into a situation like this again is a very important part of what we're doing," Assistant District Attorney Andrew Wright told the Bangor Daily News. Armstrong's dog has since recovered from her injuries and been adopted to a permanent home. 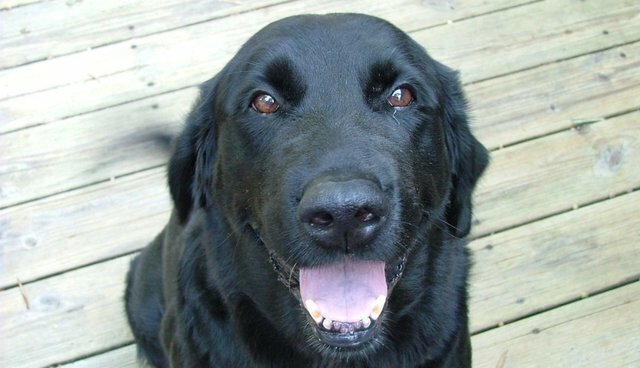 Her new owner, Peter Blanton, renamed her Lady and said the Lab is a little unruly, but overall is "a very loving dog."